Ecclesiology is now taken for granted as an area of theological research. Before the modern age, however, the Church felt no need to define itself. 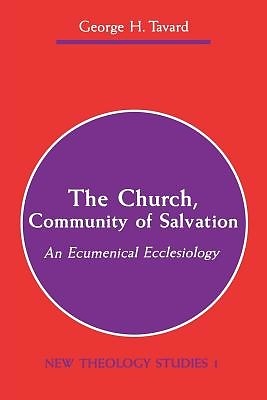 What Father Tavard presents in this work is a systematic organization of the essential Christian beliefs about what the Church has been, is, and ought to be. It focuses on the awareness of being" Church that is inseparable from the profession of the Christian faith. Keeping the present historical moment in mind, Tavard investigates the dogmatic or doctrinal nature and structure of the Church in an ecumenical spirit. A preliminary chapter asks if the Church can in some sense be said to have existed before the Christian faith or to exist outside it. Following this the book divides into three parts: Vision (how we see ourselves as Church), Tradition (how history has shaped our Vision), and Structures (how we have institutionalized that Vision).Both history and structure bring to light the Dialogue (part four) that is essential to being of the Church. Father Tavard concludes with insights into the nature and task of the post-Vatican II Church in an ecumenical world."